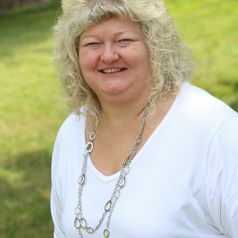 Shelia R. Cotten is an MSU Foundation Professor in the Department of Media and Information at Michigan State University. She studies technology use across the life course and the social, educational, and health impacts of that use. She conducts large-scale community based intervention studies designed to use technology to enhance various aspects of quality of life. Dr. Cotten has studied the largest dissemination of One Laptop Per Child (OLPC) XO laptops in the United States. She recently finished a randomized controlled trial designed to enhance quality of life among older adults through the use of technology training. Her work has been funded by the National Institutes of Health and the National Science Foundation. She is the past Chair of the Communication and Information Technologies Section of the American Sociological Association (CITASA) and the 2013 recipient of the Public Sociology Award from the CITASA section of the American Sociological Association. Dr. Cotten enjoys teaching courses on the social impacts of technology, survey research, and research methods. Prior to joining MSU, Dr. Cotten was a Professor in the Department of Sociology at the University of Alabama, Birmingham.